Bringing the room together with a flying cranes installation we created for a @gpneighborhoods interior. More outdoor sculpture work for this project is coming soon! Celebrate LA! 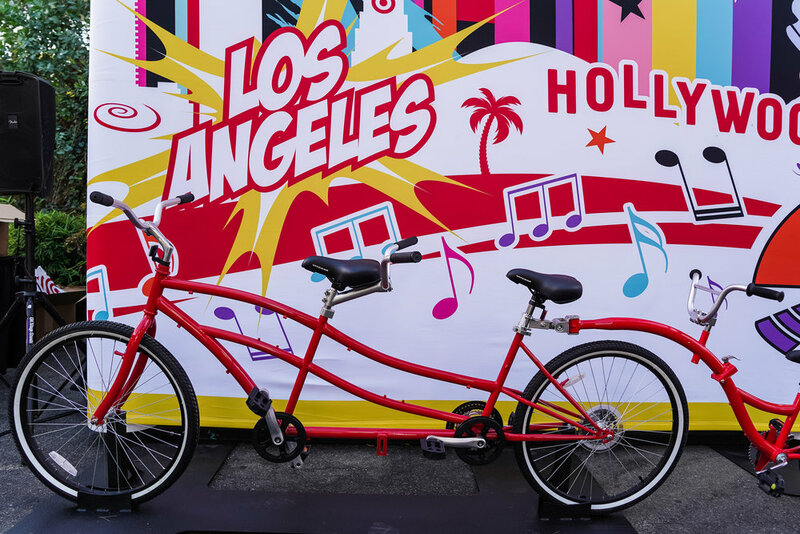 is a partnership of CicLAvia, the LA Philharmonic and Community Arts Resources (CARS) to clear the roadways between Walt Disney Concert Hall and Hollywood, transforming them into an auto-free zone where people could walk, run, skate, scoot, bike, and wander however they like! LBP teamed up with Target, Wasserman Media Group and artist Sket One to transform these art hubs- inspired by the cyclists and pedestrians who take to the open streets.